To start with, I would like to say that I have always loved pets. Even as a child, I adored being accompanied by them. I was especially intrigued by dogs and horses. When I was a teenager, I became a volunteer in the Iława Kennel, from where I also adopted my very first canines, young puppies called Sonia and Maja. They were truly dependable and lived for quite some time under my care and supervision. It was at the kennel that I saw a Newfoundland dog. I do not know whether it was a purebred canine or a just looked like one. Back then, I did not know the exact definition of a purebred dog. The one I saw was beautiful, gracious, and extremely friendly. I was charmed by its overall appearance. I wanted to have such a fluffy dog for myself…..
Prizes and medals won by our pets during national dog shows. Current litters and announcements relating to our beautiful pets. 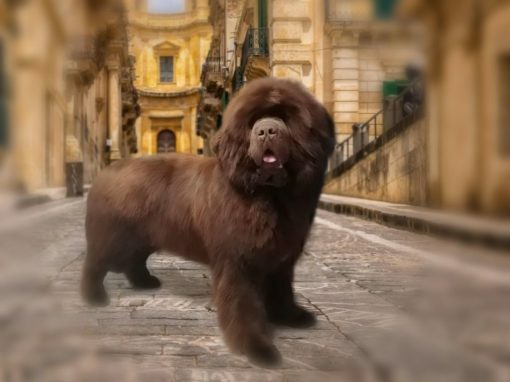 Detailed pieces of information on Newfoundland dogs. Learn more about their personality traits, appearance, and distinctive features. Interesting facts about Cavalier dogs. Familiarize yourself with both history and typical behavioral patterns of said canines. Read more about personality traits and training of SHIH TZU, which is an adorable and dependable breed also known as „lion dogs”. On our blog, we are going to provide you with all the freshest news connected with our dog breeding company. While visiting it, you will surely learn a lot of interesting facts about Newfoundland, Shih Tzu, and Cavalier King Charles pets. We are going to analyze dog personalities for you, as well as provide you with key tips and tricks strictly relating to upbringing and feeding of your dogs-to-be. As you probably know, we regularly attend both national and international dog shows. We will do our best to inform you about places where our prestigious dogs can be seen in a regular fashion :-).